Scenario/Problem: You want to modify the links shown on the top or left navigation bar by using a Managed Metadata term set. 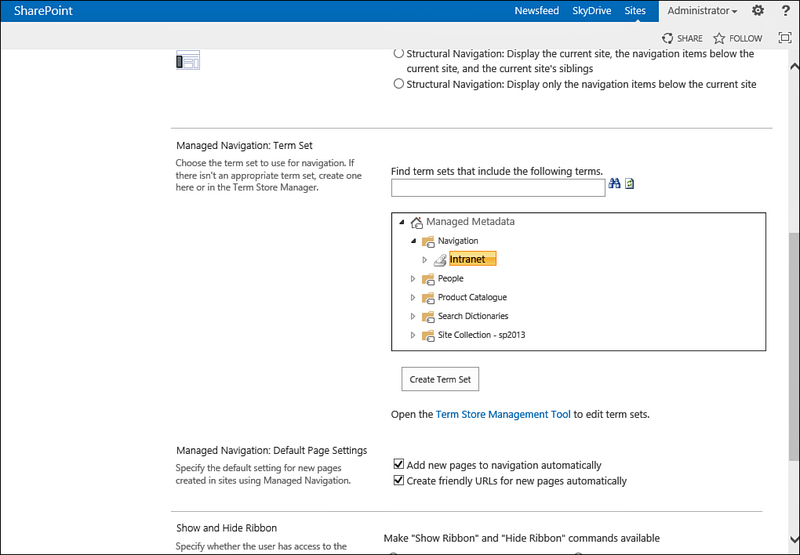 To configure SharePoint to use a managed navigation term set, simply choose Managed Navigation in either the global navigation or the current navigation. When you do that, a box appears that allows you to select from the list of existing term sets, and a button to create a new term set, as shown in Figure 1. FIGURE 1 Choosing a managed navigation term set. If you cannot find the term set that you want, click the Create Term Set button. This creates a new, empty term set with the name of the site.